Choosing a checking account may not be as serious as choosing a career path, but it can definitely have an impact on your life — and your finances. While the rules governing a savings account have an impact as well, choosing a checking account is more involved simply because of the way the account is used, and the frequency of use. With a savings account, you may make deposits or withdrawals from time to time, but likely not often. With a checking account, you may write several checks a month or more. You may have automatic payments set up to pay bills out of your checking account, and you may also have your paycheck or other benefits deposited directly into the account. Banks can charge a fee for the use of any management feature regarding your account — balance transfers, withdrawals, deposits, overdrafts, use of an ATM card and more. A checking account has more functions and thus just gives them more opportunities to charge fees. So what should you look for when choosing a checking account? First, understand that a checking account provides a service to you — it’s not an investment vehicle. Savings accounts pay very low interest rates — often less than 1 percent — and checking accounts historically pay lower interest than savings accounts. 1. Many accounts — checking, savings or other — require you to keep a minimum balance. 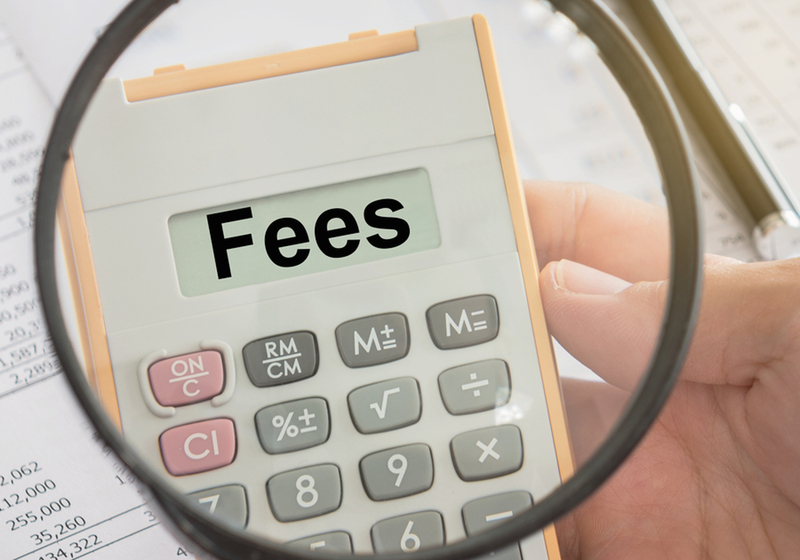 If you fall below this minimum, the bank or institution is allowed to charge you a fee. Make sure you know what this minimum is and that you always have that much in your account. 2. Bouncing checks can be really expensive. The entity you wrote the check to is likely to charge you a fee, and the bank will too. Most banks offer overdraft protection — a service in which they will take available funds from another one of your accounts to cover the amount of the check. This will save you from being charged a fee by the merchant or whoever you wrote the check to. The bank may charge for every check it has to cover, or it may charge a monthly fee for the protection. Credit unions or smaller banks may not charge fees for this service. 3. The difference between the interest paid in a savings account and a checking account is not huge, but it isn’t negligible either. We urge you to keep surplus cash in your savings account for this reason, but when you compare the interest paid over a year to the fees charged for an accidental bounced check, overdraft protection and other fees, it may save you more money to keep an extra $2,000 in your checking account and not risk racking up charges. The Wall Street Journal advises its readers not to fall into the trap of thinking they should do all their banking at one institution. Although this was the most common way banking was done for many years, it makes less sense today, partly because customers visit a physical bank less often today, and some never do. WSJ says it is rare for one bank to offer the best options for savings and checking accounts, CDs, loans, credit cards and other services, so it’s best to shop for each of these individually. You might think that the bank with the most branches is the one you should choose. After all, if they’re omnipresent, they must be successful, and if they are successful it must be because their customers love them, right? The bank might be good for some services, but it might not be the best place for you to open a checking account. First, the more branches a bank has, the more it pays to maintain these branches, so the more it has to charge in fees (or the less it pays in interest) to make up for the difference. Online banks usually charge much lower fees – some do not charge any fees. An online bank is not for everyone, however. If you need to deposit checks from customers or clients, you must do it by mail, which takes time. Plus, relying on the U.S. Postal Service to deliver your money safely can be nerve-wracking. So online banks usually charge lower (or no) fees and pay higher interest. But they don’t have any ATMs! ATM fees can be the undoing of the poor planner — the one who’s always short of cash, ducking into the tiny glass vestibule every few days for a fix. Like bouncing a check, you can get hit twice for the same service when you use an ATM — one fee from the bank whose machine you’re using, and another from the bank you keep your money at. And all this just to get your own money! 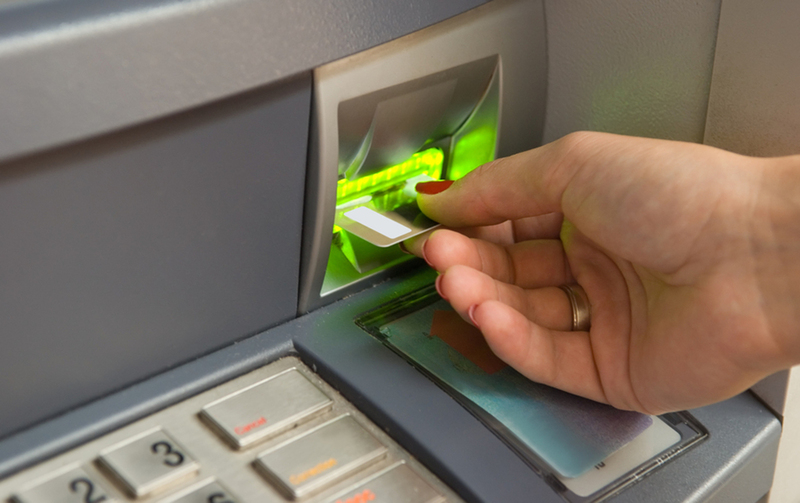 ATM use can result in multiple fees. Credit unions sometimes offer deals where you can use ATMs for free at institutions with ubiquitous locations, like 7-Eleven. But online banks sometimes will reimburse you for charges you incur at ATMs, since you don’t have the option of using one of their machines. Some banks have a maximum amount per month though, so keep that in mind. Another option is a debit card. Having a card to swipe for purchases rather than withdrawing cash or writing a check can be convenient. But before you plan on taking advantage of this convenience, check and see if it is included when you open an account or if there is an extra fee. Don’t forget that even if your bank says it’s free, it might charge what you consider an exorbitant fee if you use it to get cash from an ATM. Comparatively speaking, how much you pay for your paper checks might be negligible, but it might not. Sometimes a bank will offer free checks if you keep enough money in it, but most don’t. But you don’t have to buy the checks from your bank — you can get them anywhere you want. Order them online or buy them from a retailer. The bottom line is shop carefully when choosing a checking account. You work hard for your money, and you want to keep as much of it as possible for yourself. To learn more ways to save money, sign up for our newsletter now! Will My Bank Account Die With Me? How Much Should You Keep in your Checking Account?